The Rangers will not play the second half of this road trip with 11F/7D. The club will recall forward Vinni Lettieri from Hartford, who will join them in Montreal. 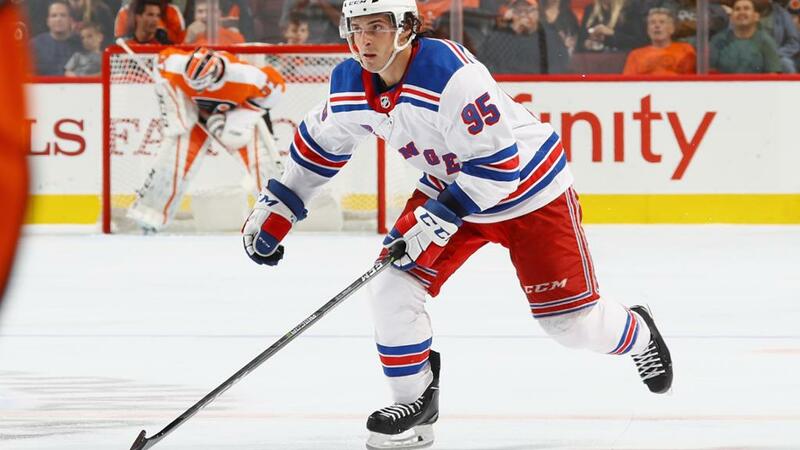 Lettieri played 14 games with the Rangers without a point before being returned to Hartford earlier this month. In four games with the Pack, Lettieri has a line of 3-2-5. The 25 year old will round out the forward group until the Rangers are healthy again. The lack of forward depth in the organization is rather troubling. Why do you think they brought in a righty? The down word knuckles for stating the Rangers did not have enough Right handed players caused them to juggle the lines. Eat crow! Good move! Now put Vinnie on 3rd line with Howden and Fast the plumber on the 4th. Jespers shot is so soft goalies can read Bettmans signiture on the puck. This guy is not a NHL player, I don’t know why pay so much attention to him. This guy is slow, small, not physical because lack of speed and size, he won’t be in NHL for long.